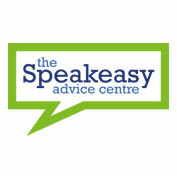 The Speakeasy Advice Centre was set up in 1992 in Cardiff, to help people struggling with chronic debt. We advise on debt, welfare benefits and housing, run a fuel poverty project and work closely with Cardiff Foodbank. Since March 2015, we have worked with Lawworks and a large number of Cardiff solicitors to run a pro bono employment law clinic. We receive funding from the local authority to run a comprehensive welfare rights service in Cardiff along with Cardiff and Vale CAB and Diverse Cymru. We also receive charitable funding to provide further services from our main office and at outreach locations, including funding to provide fuel debt advice in GP surgeries. The Speakeasy was headed up for many years by Andrew Buchanan-Smith, a solicitor and now Social Security Tribunals Judge, and we have trained a number of solicitors to work in social welfare law. We currently have three solicitors, all of whom trained at the Speakeasy, as well as other advisers in the fields of debt, welfare benefits, housing and fuel poverty. We aim to make our service accessible by holding drop-in clinics and working in outreach venues, while ensuring our solicitors and advisers have the time to take complex cases to First-Tier and Upper Tribunals.